The Inspector General of Police (IGP), Ibrahim Idris, ordered a massive deployment of police personnel to worship places, recreation centers, public places and critical infrastructure and public utilities to ensure a hitch free Eid-el-Kabir celebrations across the country. IGP Idris has, however, assured that the ongoing raids on perceived criminal black spots, flash points, abandoned and uncompleted projects sites being used as hideouts by criminal elements to commit crime would continue. IGP Idris who made this known in a statement signed by the Force Public Relations Officer, Jimoh Moshood, directed massive security by police personnel visibility patrols, crowd controls and adequate protection and safety at all praying grounds and other venues of celebration in their areas of responsibilities. The statement reads “The Inspector General of Police, IGP Ibrahim K. Idris felicitates and rejoices with Muslim faithful throughout the country on the occasion of this year Eid-el-Kabir celebration. “To ensure a hitch free celebration, the Inspector General of Police has directed the implementation of robust and elaborate security arrangement throughout the country by the Assistant Inspectors General of Police and Commissioners of Police in zonal and State Commands Nationwide. 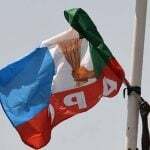 “They are to be on ground to beef up security, carryout massive deployment of Police personnel on Police visibility patrols, crowd controls, and adequate protection and safety at all Eid praying grounds and other venues of celebration in their areas of responsibilities. “The deployment of additional personnel and crime prevention and detection equipments will be carried out to cover identified and perceived criminal black spots, flash points, abandoned and uncompleted projects sites being used as hideouts by criminal elements to commit crime. 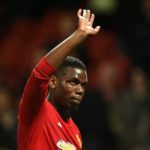 “The ongoing raids operations and removal of suspected criminals will continue throughout the Sallah period and beyond. “The deployment will also cover recreation centres, public places and critical infrastructure and public utilities. “Federal Highway Patrol Teams, the Safer Highway patrol Units, and Anti-Crime patrols have been deployed along Highways and major roads throughout the country for the protection and safety of travellers, commuters and other road users during the period and beyond. They are under strict instructions to be civil, polite, compassionate and firm in carryout their duties. “Intense surveillance/Intelligence gathering will be maintained, special deployment and stop and search duties will be emplaced at all flash/vulnerable points in every state of the country. “The Nigeria Police Force is hereby imploring members of the public, most especially travellers and other roads users to cooperate with Police personnel deployed on the Highways and other duty posts. “The Inspector General of Police, once again wishes the Muslim faithful and other Nigerians happy Eid-el-Kabir celebration. He enjoins them to be security conscious, vigilant and report any untoward incident or happening observed in their locality to the nearest Police station”. 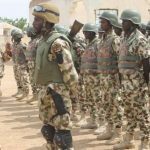 The Nigerian Army has urged Southeast residents not to panic over the movement of troops and sounds of gunshots as it conducts its annual Range Classification exercise for 2019. 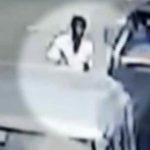 Fresh details have emerged about Abdul Lathief Jameel Mohamed, a former UK student who is suspected of carrying out a Sri Lanka suicide bombing. 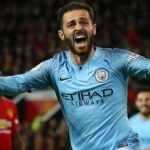 Pep Guardiola applauded Bernardo Silva for his performance in Manchester City's 2-0 derby win over Manchester United and heralded the Portuguese midfielder as one of Europe's best players. 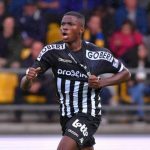 Victor Osimhen scored his 15th goal of the season to help Sporting Charleroi defeat Beerschot-Wilrijk in a Belgian First Division A Europa League play-off encounter. 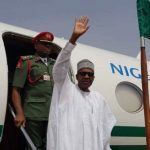 President Muhammadu Buhari has arrived Maiduguri as part of a one-day official visit to Borno State.